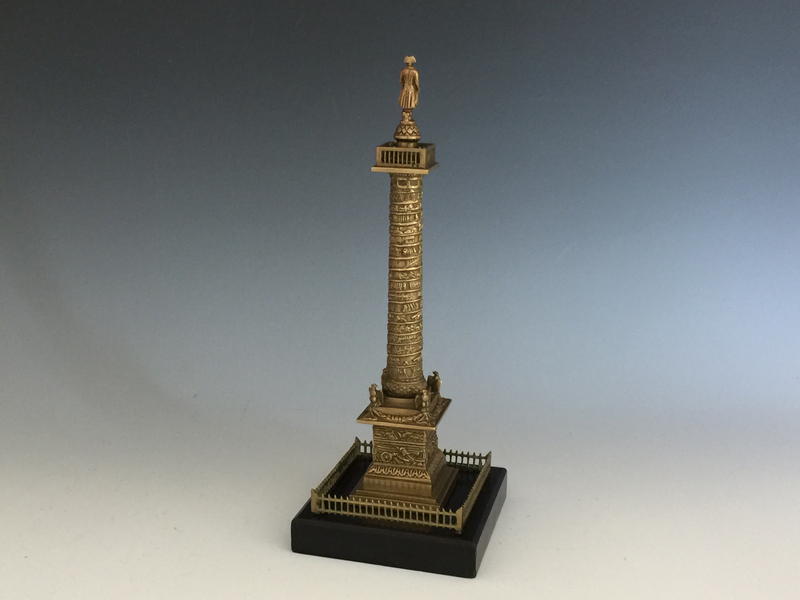 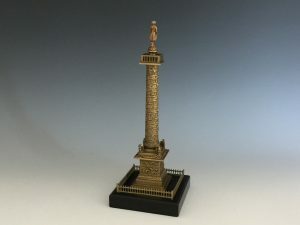 A mid 19th century bronze model of the Place Vendôme column. 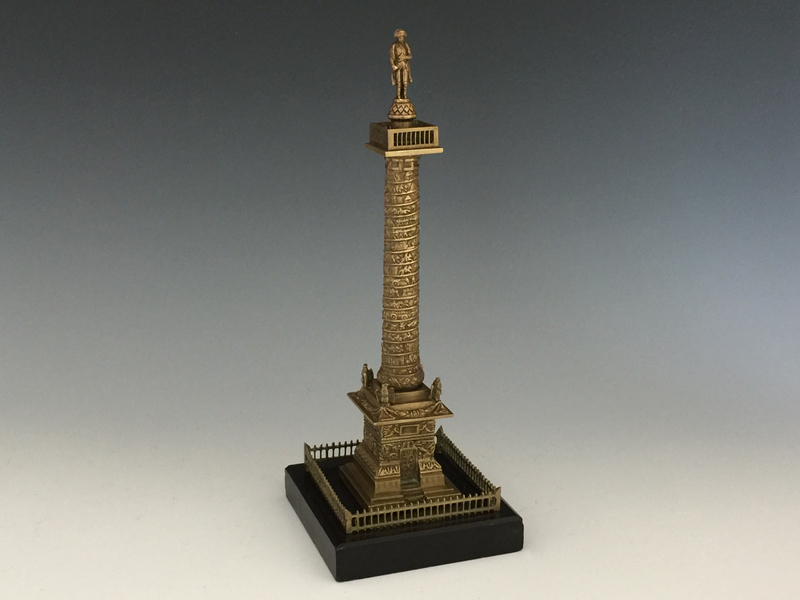 The figure of Napoleon standing atop the spiralling column with square black slate base. The original column was started in 1806 at Napoleon’s direction to celebrate the victory of Austerlitz, and completed in 1810. 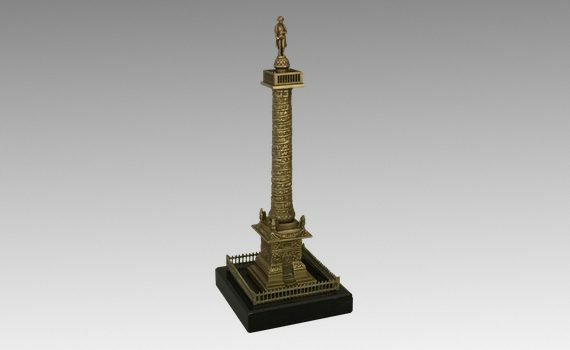 The spiralling column is covered in 425 bas-relief bronze plates constructed out of cannons taken from the combined armies of Europe.